If you are craving for South Indian food then straight away head to this place. They have outlets all over Mumbai. We visited here on a Saturday and it was extremely crowded but we managed to get a place after waiting for half an hour. They offer a variety of South Indian delicacies right from different kinds of idli to a list of dosas. They even serve North Indian food. We ordered for their thuppa masala dosa and cheese chilly garlic uttappam. 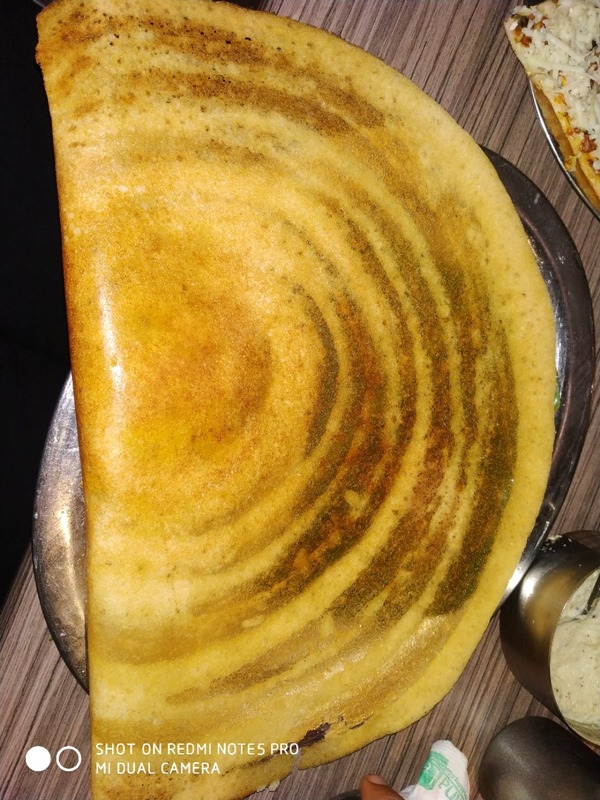 The thuppa masala dosa was crisp and soft brown with aloo stuffing inside. It was not too spicy but not too bland either. It was just perfect. Their cheese chilly garlic uttappam looked like a pizza. It was good but could have been better if it had a little less garlic.